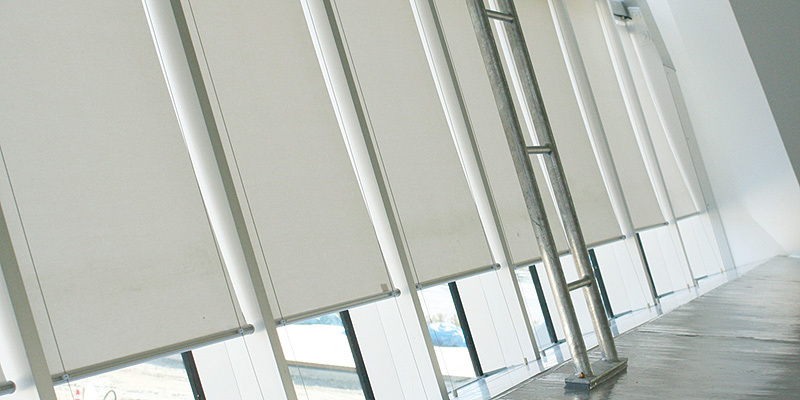 "SILENT ECOSCREEN" for the following places,welfare or medical facilities and libraries. Operated easily with the remote controller by anybody. Thanks to the remote controller, SILENT ECOSCREEN is good for a high and wide space. The quietness of the motor is approx. 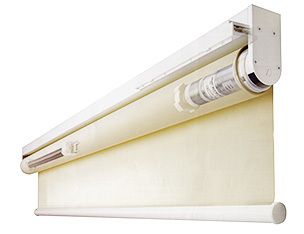 "35db"
"SILENT ECOSCREEN" is good for public facilities, bet rooms, and AV rooms. Easilyly installed to be adjusted only with a screw driver. Only plugged in a wall outlet. 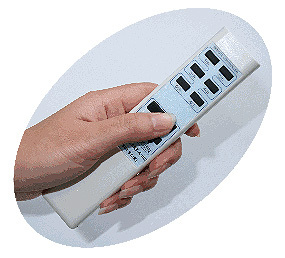 A compact remote controller and a simple designed switch provide easy operation. The plural and various numbers of the main body can be operated to be stopped tidily. Only 12mm (both sides 24mm) as the space at each the end of screen, then available with cutting off much the sun light. 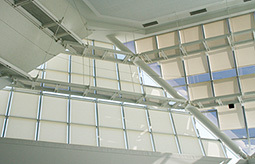 "SILENT ECOSCREEN" can be set almost on the same situation with the manual operated screen. The limit setting about the rated time. The operational time limit for the protection of the motor.